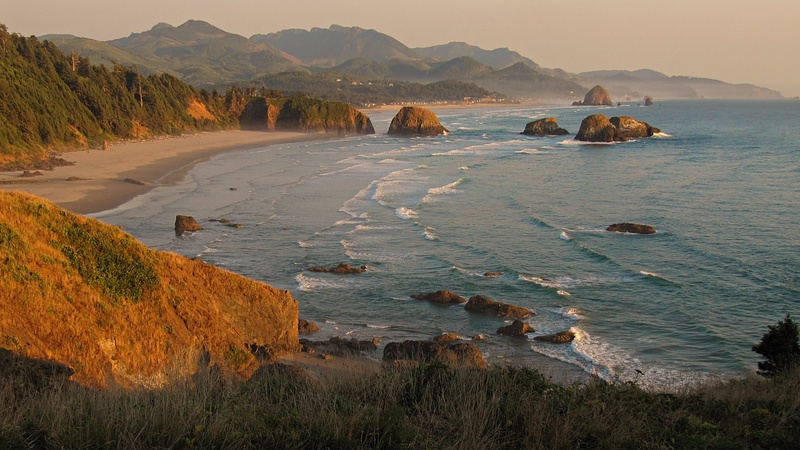 Oregon is blessed with an entire coast of beautiful beaches and the best of them have to be the beaches of the neighbouring communities of Seaside and Cannon Beach. As I first mentioned in this blog two years ago, Cannon Beach has been rated as one of the 100 most beautiful places on Earth. The beach is dominated by Haystack Rock which is accessible at low tides and is home to all sorts of sea birds.